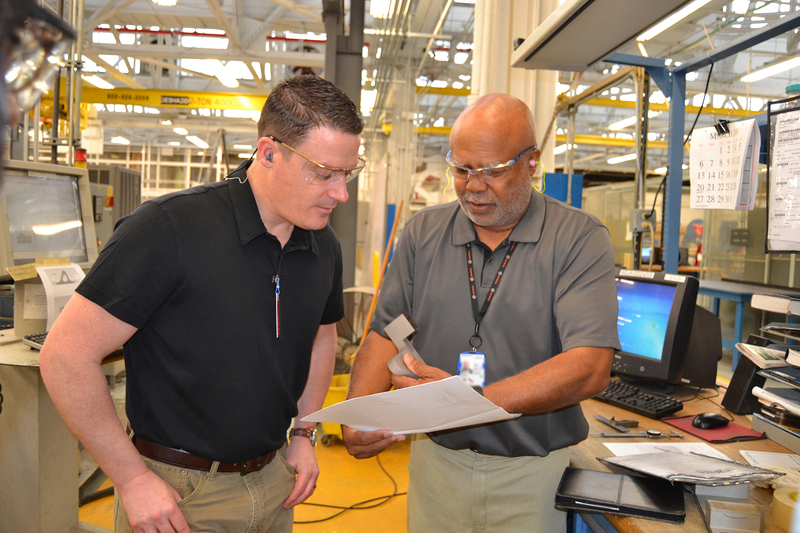 We are committed to improving efficiency for our customers in the manufacturing industry. We know that minimizing unplanned downtime on the industrial plant floor is crucial to your bottom line. That’s why we provide the electrical and industrial tools, products, and expertise to support continuous operations, maintenance and modernization of manufacturing and industrial facilities. 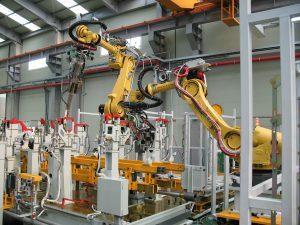 Your manufacturing facility has its own unique combination of operations that work together continuously at maximum efficiency. Although, when any part of the process slows down, you have to be able to diagnose the problem and react as quickly as possible so you can get back to work. Industrial Maintenance: Experienced IBT technicians can provide complete on-site inspection, analysis, diagnosis, and repair services. This can range from a one-time repair, to a monthly predictive maintenance program. Safety Training and Consulting: Our comprehensive health and safety consulting services will make sure that your business and facilities are doing everything they can to protect your workforce and remain compliant with OSHA standards. Industrial Training: IBT can create custom training programs that are engineered specifically for your organization that focus on the technical competence and job-specific knowledge required to maintain reliable equipment and manufacturing systems. We keep informed about market trends and new technologies and continually update our inventory of the premier brands of electrical and industrial supplies to keep your employees safe and your manufacturing operations efficient. IBT has the supplies you need to keep everything running right, from the tool crib to the assembly line, to the production floor and everywhere else throughout your facility. General Industrial Supplies: Since 1949, IBT Industrial Solutions has been a major supplier to manufacturers, offering reliable products and services in the broad industrial marketplace. Safety Supplies: We have everything you need to provide world-class safety in your workplace. From personal protective equipment to fall protection, and the training and consulting to help you effectively implement it. Wearhouse Equipment: IBT is your go-to resource for warehouse equipment. Whether you are looking to upgrade your facilities or are starting from scratch, we’ve got the lighting and ventilation solutions, shelving systems and more that you need to make it happen. Material Handling: We understand the importance of good systems application in achieving optimum efficiency and that’s why we’re the leading supplier for material handling and storage systems and components. Hand and Power Tools: As your industrial tools specialist, IBT will help you evaluate your tool needs, and will design and assemble just the right custom toolkit solution for your plant or department. Power Transmission: Along with our many conveyor chains, speed drives, gears and more, we also offer specialized applications training and maintenance seminars for your employees. Electric Motors: IBT Industrial Solutions is one of the nation’s largest suppliers of industrial electric motors and supplies, for both AC or DC motors, to help you stay up and running. Pumps: We offer a wide variety of pump types and brands for many various applications and replacements. This includes covers pumps, pump systems (skids) and parts. Contact IBT today to learn more about ways we can make a difference in your manufacturing business.